The city is synonymous with the name of Jhansi ki Rani Lakshmibai. The historic city of Jhansi is one of the famous cities of Uttar Pradesh. Also, it is the Administrative Headquarters of the Jhansi District and Jhansi Division. Jhansi’s ancient name was Balwant Nagar. According to the 2011 Census, it is one of the most populous cities of India. The city is situated on Jhansi Fort and grew around its stone Fort. 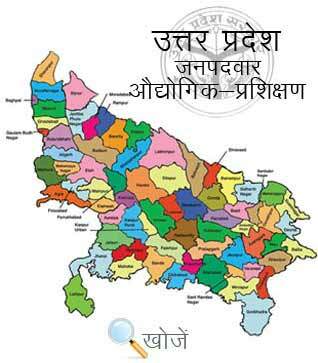 The literacy rate of Jhansi is 83%, which is higher than the state average of 67.68%. It has various famous Government and Private Colleges, Schools and study hubs imparting higher education to the Students. Rani Lakshmibai Central Agricultural University, Bundelkhand University, Maharani Lakshmibai Medical College, Bundelkhand Govt. Ayurvedic College and Hospital are few among many that offer great education to the students. For Technical Education the State has four Government Industrial Training Institutes (ITI’s) in Jhansi and six private ITI’s in the city that offers various diploma courses to the students of duration 6 months to 2 years. To enroll in these courses minimum age is 14 years and the basic qualification is matriculation. Vyavasayik Pareeksha Parishad Uttar Pradesh (www.vppup.in) is responsible for conducting the entrance examination for admission to different courses in various ITI’s. Students can also visit www.upiti.in that offers the latest information to the students regarding Admissions, Exam-Results, Admit Cards, counseling dates etc.